Hwy 101 mile marker 138. 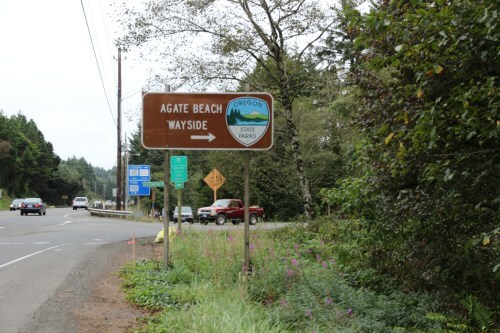 The highway 101 sign for Agate Beach "State Recreational Site" is labeled "Agate Beach Wayside". 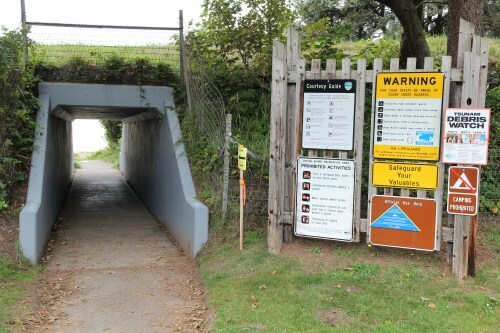 At the far end of the large parking lot is a tunnel that you can go through to reach the beach, but your access is blocked by a relatively shallow creek on the other side of the tunnel. Easier access is at the South end of the parking lot, which leads to a bridge that allows you to cross the creek. 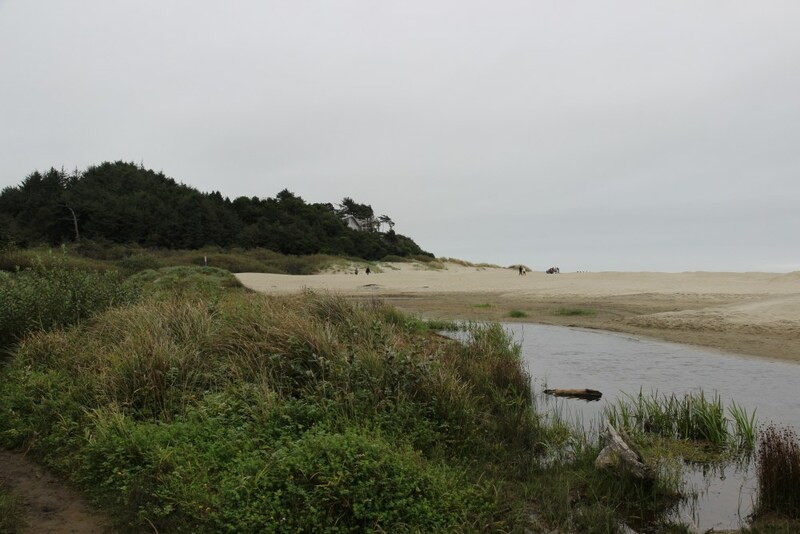 Once on the beach, if you look to the North, you can see the Yaquina Head lighthouse. Not sure about finding any agates. They may be in the area, but all we found was sandy beaches. As you can see, your tunnel route has a bit of an issue (except during the warmer months). If you want a "dry" route, go to the South end of the parking lot. A trail leads to a bridge there. 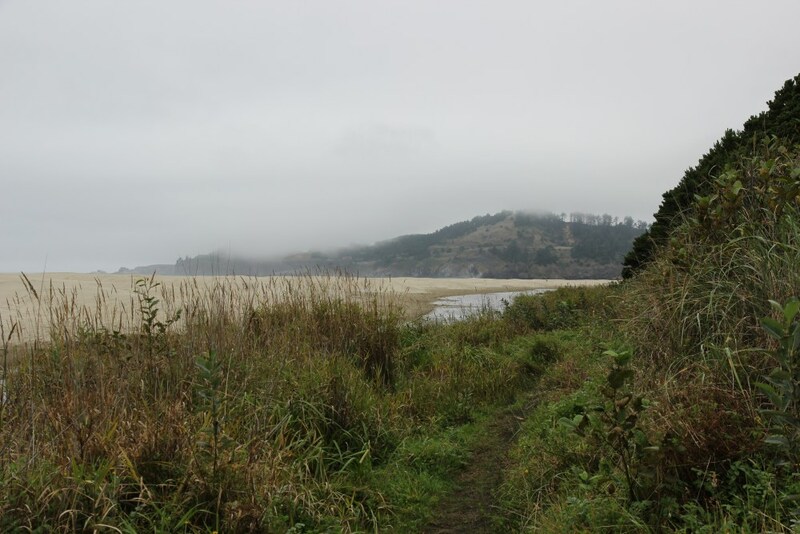 Had the clouds been a bit higher, you could have seen Yaquina Head lighthouse on the edge of the peninsula.